The Miller Family Farm constructed a new greenhouse for growing cucumbers. Planned for year-round operation, supplemental lighting is required during winter months. 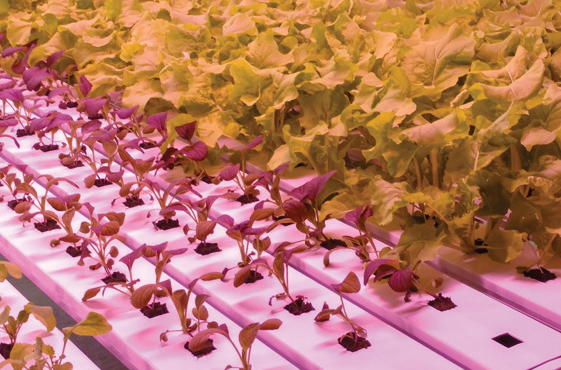 The two lighting technologies evaluated were high pressure sodium (HPS) and TotalGrow, an LED – based grow light. Although the initial acquisition cost was significantly higher, Rob Miller selected TotalGrow which, being LED – based, offered significant life cycle savings over the high pressure sodium. Another key benefit of TotalGrow is derived from the light being specifically engineered for plant growth and development. This results in faster growing, more robust and higher qualify plants versus those grown under HPS lights which are designed for the human eye, not growing plants. The selection of TotalGrow reduced 20 year projected energy costs $273,080. Combined with lower maintenance costs of $50,120 marginally offset by the higher product acquisition cost, the project achieved total projected 20-year savings of $323,537. It also qualified for $6,600 in utility rebates.